Press L to see on black. My photostream on black or on white. commanded in French by the aristocracy and Walloon officers. The Flemish soldiers were humiliated and oppressed, just because they were Flemish. 3. peace for everyone whatever their convictions (beliefs). Today it means: Freedom, Peace, Tolerance. efficiently, anonymously and yet known’. 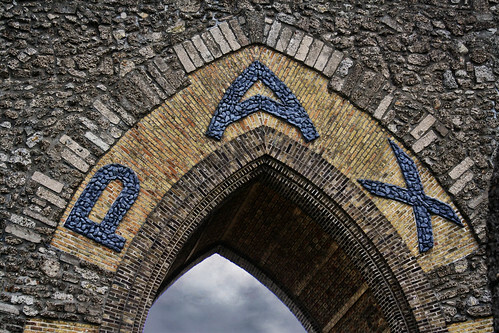 With the debris of the dynamited Yser tower the Pax Gateway (Gateway of Peace) was built in 1950. Free to use under creative commons attribution licence. If you blog an image or use it in any other way, please leave the URL in the comments. If you use one of my images in your art, I'd appreciate it if you give credit, link back & show your result (small size please) in the comments. Do not harvest my images to sell in any way, nor to claim as your own (not even when slightly altered).